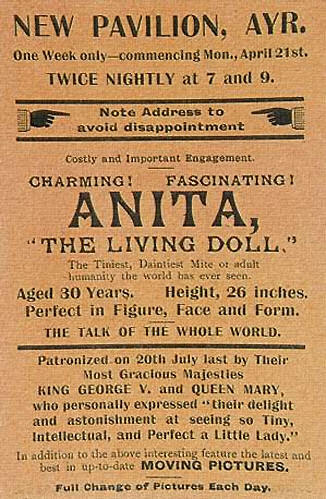 Anita the Living Doll appeared at the Sheffield Jungle for a one-off visit in April 1911, marking a change (along with Victor Beaute the fasting man) from animal-based attractions. The Sheffield Independent newspaper from the 15th April reports from a presentation of Anita at the Grand Hotel, this venue newly opened and often chosen for Jungle publicity events. As with much of Bostock's marketing strategies, the attraction is shown initially as some kind of educational or scientific phenomenon, achieved through the careful invitation of medical specialists, academics and civic dignitaries. Though the medical team are reported as being present, this can only be assumed to be a part of authenticating Anita, similarly to Bostock's well-publicised antics with his gorilla. The press report quickly switches to building the anticipation of Anita as a spectacle, describing her designed silk dress and osprey plume. Anita is then described in terms of her rings and bangles, each one supposedly a gift from royal members throughout her worldwide travels. She is described as being 26 years of age and 26 inches in height, weighing 13 pounds and "normal in every other respect". Her intelligence is mentioned, with Anita speaking German, English and French alongside her native Hungarian. Her attention to dressing is expressed with mention of 23 travelling dresses including the in-craze harem skirt and hobble dresses. 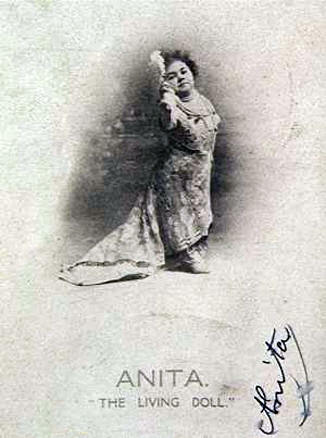 Anita's Hungarian background is explained to the Independent reporter, before her travels are recorded: a first exhibition in St Louis (1904), followed by an extensive tour of North and South America, Australia and New Zealand, and India and Japan. 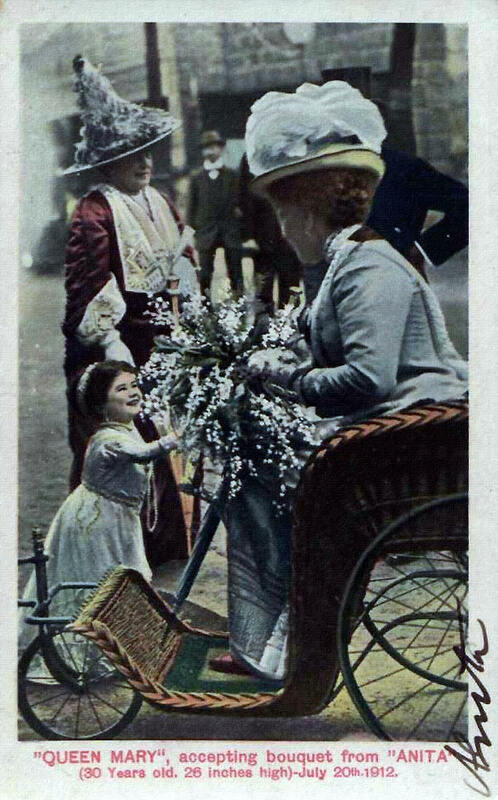 The past two and half years have seen her touring Europe, with a connection to Bostock formed in 1910 who showed her in Edinburgh on Boxing Day. Her UK tour, prior to visiting Sheffield, is listed as Glasgow, Aberdeen, Cheltenham, Leamington and Birmingham. The advertisements for her visit to the Jungle describe her variously as a "living doll", "human atom" and "veritable Venus". Exhibition of human difference - through bodily extremity or erroneous peculiarity - is a difficult subject, though undoubtedly popular at the time with the public, with the proprietors (such as Bostock) and notably with the acts themselves. Seen in today's terms, such exhibition can be regarded as immoral, unethical, exploitative or even pornographic, however by examining all of these accusational aspects within the contemporaneous timeframe the case for condemning these exhibitions is much less clear. The showman was an essential component in the construction and presentation of the exhibition and it was part of his "art" to take a person with a particular disability and transform them into an attraction. The relationship between the presenter and the exhibit was key in producing the sideshow exhibition. Showmen constructed a public identity and context for their exhibits, devising narrative and history. The telling of the tale was an essential part of the show and often consisted of wonderful and medically impossible reasons to explain to the audience the history of the person they were going to see. Midgets are an example of exhibiting the extremes in stature - as well as the very small this also applies upwards (to the common exhibition of 'giants'), outwards (the fat boy and fat girl shows) and theoretically inwards (living skeleton exhibitions). Most exhibitions working with stature had elaborately constructed back-stories, though with midgets there was a common theme to present an idea of shrunken beauty in the form of a doll of some sort. This played into various interwoven fetishisms around ownership and a kind of 'portable sexuality'. 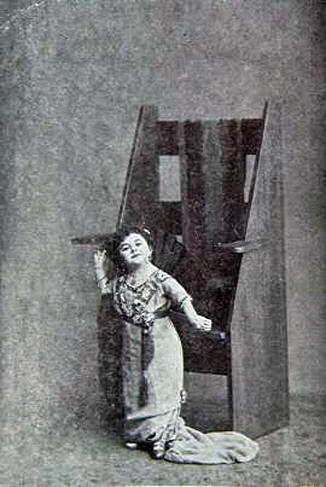 The boom for exhibiting dwarves and midgets was started with P.T. Barnum and his famous attraction, Tom Thumb (Charles Stratton). Barnum created a novelty act featuring Thumb and turned the little man into one of the greatest attractions of the Victorian era. When Barnum arrived in England in 1844 the British showmen were amazed that he was hoping to attract so much money for simply exhibiting a dwarf. On arrival Barnum changed Statton's nationality from American to English and bestowed upon him the rank of "Major". He became an instant attraction and was presented to Queen Victoria on three separate. Tom Thumb, was eleven years old when first exhibited by Barnum in and became one of the most highly paid and famous performers of the 19th century. Indeed his marriage to Lavinia Warren in 1863 knocked the American Civil War of the front page of the New York Times, so eager were the public to read about his marriage, with over 20,000 carte de visite photographs purchased of his wedding. 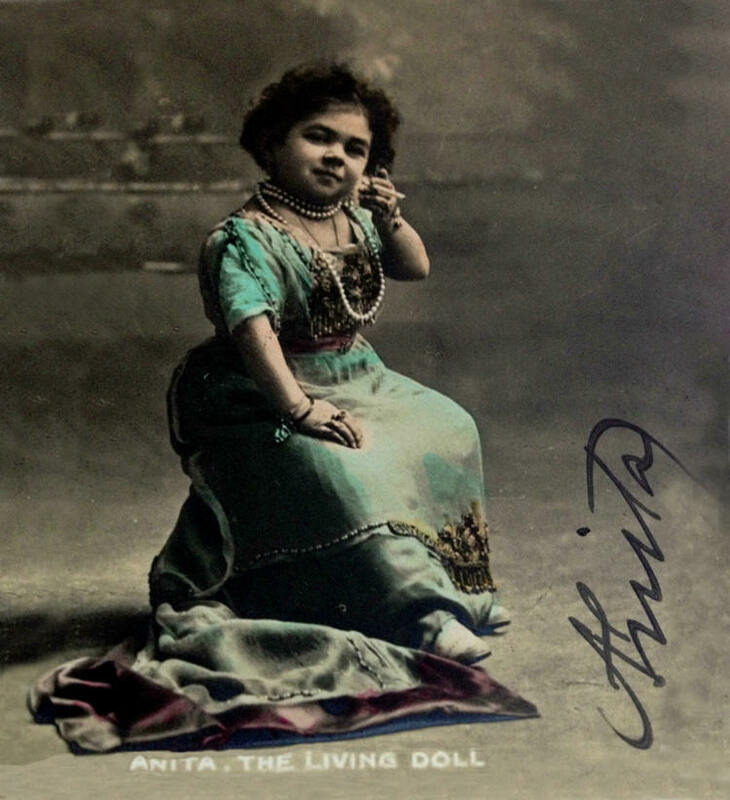 Dwarf and midget exhibitors such as Major Mite, Harold Pyott (the English Tom Thumb) and Bostock's own Anita the Living Doll followed in the example of Charles Stratton and became highly successful sideshow novelties. The effect of Barnum on the English showmen and the public was immense and many of the subsequent tricks like midget weddings, births and comic tricks can be traced directly back to him. The rise of the Lilliputian villages or towns, for example, presented by John Lester and Fred Roper in the 1920s and 1930s were a continuation of Barnum's Lilliputian Congress of Nations. Extremes of height pre-dated midgets and dwarves for exhibition. Referred to as "giants" they appeared on travelling fairs for hundreds of years and were feted by royalty and studied by the medical profession. The most famous performer in Georgian England was Charles Byrne (1761-1783) who appeared as the Irish Giant. He claimed to be over 8 foot in height and exhibited in drawing rooms, saloons and public houses. On his death his body was besieged by the medical profession and sold to John Hunter for �500 and his skeleton now resides in the Hunterian Museum at the Royal College of Surgeons. Multiplicity of identity became rife. Alongside the many Buffalo Bills and Tom Thumbs most of the successful exhibits began to emerge re-invented through the decades, or often at the same time. 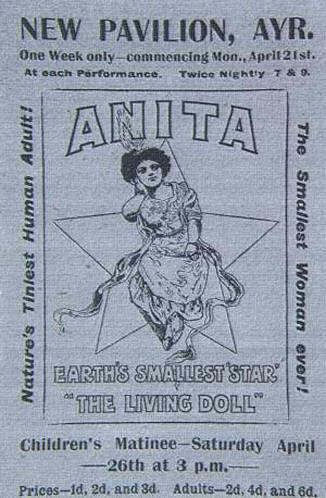 Facts about Anita the Living Doll are hard to come by. Firstly the showmen concerned are happy to fabricate or embellish a back-story, and then the moniker (and back-story) of Anita is transferred to similar acts. From this confusion it can be difficult to extract who was who and what trajectories were followed. 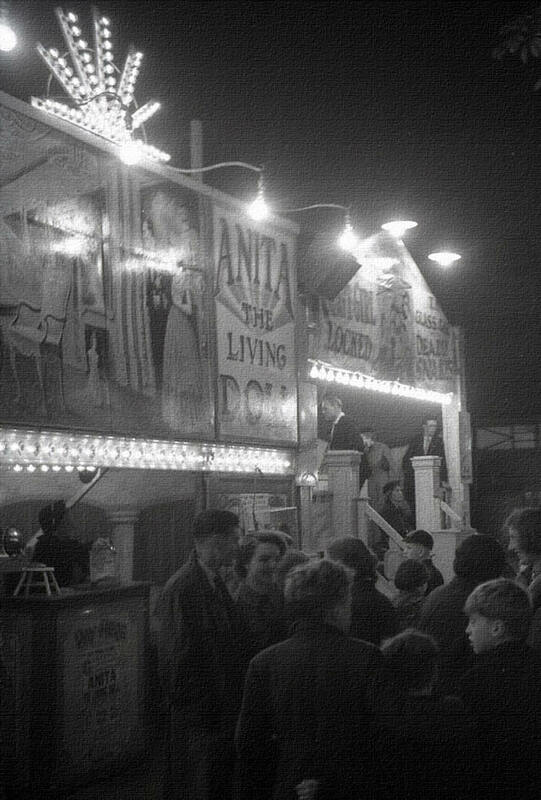 The individual performer - 'our' Anita who visited Sheffield Jungle in 1911 - is engulfed by the concept of 'Anita the Living Doll' and so the exhibition is continued well into the 1960s (see images) when the original Anita would be (if still alive) well in to her eighth decade.